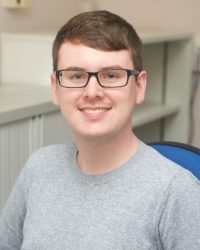 Daniel Jolley is an early-career social psychologist at Staffordshire University, UK, where he is currently a Lecturer in Psychology. His research has been examining the social consequences of conspiracy theories, specifically using experimental methods – such as uncovering the impact of exposure to conspiracy theories on political, environmental, and health-related behavioral intentions. In a similar vein, on-going research has also examined the relationship between exposure to intergroup conspiracy theories and prejudice. With his research, therefore, uncovering the potential dangers of conspiracy theories, his current research involves testing the effectiveness of interventions that aim to address the potential impact of conspiracy theories – such as aiming to improve vaccine uptake after exposure to conspiracy theories.